Boxee’s impressive media center software first appeared in the dedicated D-Link Boxee Box last year. Although the application had been available to download for ages, the integrated hardware solution brought serious competition to the set-top wars as it had more capabilities than offerings from Roku and Apple but was more affordable than a Google TV. Boxee’s success continued to grow at CES 2011 as Iomega announced their own Boxee enabled device. While the software on both devices is nearly identical, the hardware is quite different. Unlike D-Link’s unique chopped box style, Iomega’s iteration has a traditional rectangular box shape. While this design eliminates one of the most distinctive aspects of the original box, users can easily stack it with other equipment in tight spaces. Its nondescript style will draw little attention in any set up. Inside lies the biggest difference between the devices. The Iomega Boxee has a large 1-2 terabyte hard drive for storing media unlike the storage-less Boxee Box. In addition to being a media playback device, it will also act as a network attached storage device allowing any computer to use it to fetch or store files. Even without a network connection, this Boxee can still play all your locally stored content. Iomega representatives told us that there will also be a hard disk free version for a lower price. For those not on the HDTV bandwagon, the Iomega Boxee features Composite outputs in addition to HDMI. D-Link’s Boxee remote was highly regarded for its innovative two-sided design. With a simple direction pad on one side and a rubberized keyboard on the other, users could get the best of both worlds. However, this layout made it painstakingly difficult to navigate web pages. Also, while its RF technology allowed users the freedom to place the Boxee anywhere, it was incompatible most IR-based universal remotes. 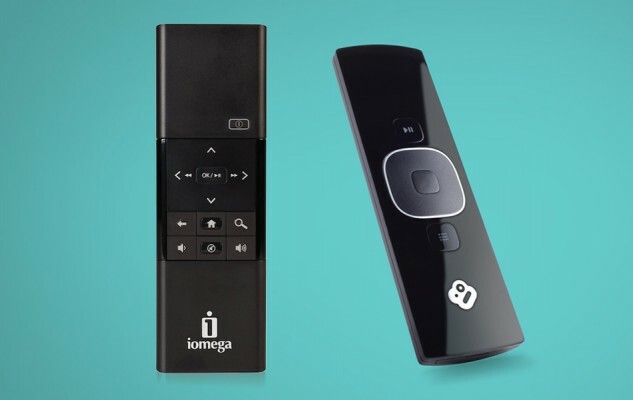 Iomega aims to solve these issues with their bigger, slightly clunky remote. The new directional pad doubles as a touch pad when browsing web sites and uses IR technology. When I had a chance to try the remote at CES 2011, it felt buggy and unresponsive, however we were assured it would a polished experience before launch. 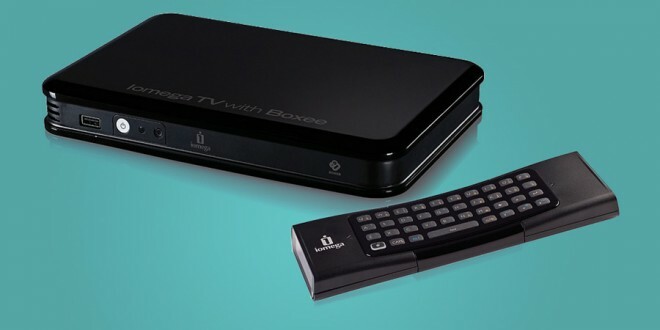 The Iomega Boxee will be released in Feburary and come in three versions: no-disk, 1 terabyte, and 2 terabyte. They will be priced at $230, $300, and $350 respectively. All three versions are priced higher than D-Link’s $200 model. Potential buyers will need to decide whether the extra money is worth the local storage capabilities.